Groups of students from all over the country have been spending the past several months preparing for the Shell Eco-marathon Americas 2011. 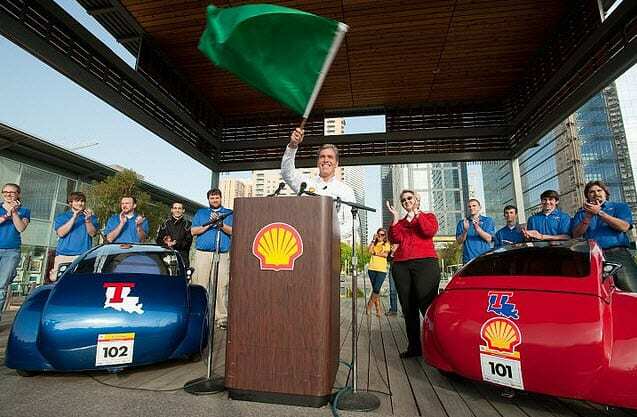 The marathon is an event sponsored by Shell, designed to expand the boundaries of fuel efficiency by pitting teams of ambitious students against one another. Operating on the belief that competition fuels innovation, Shell is hoping that students will take alternative fuels to new heights. More than 70 teams of students representing 18 high schools and 31 universities throughout the U.S., Canada and Mexico, will be competing in the marathon. The marathon is part of Shell’s “Smarter Mobility” initiative which aims to further encourage the use of clean fuel for transportation. Hydrogen is proving to be one of the fuels of choice for the event. Many teams are developing their own fuel cell systems and fueling methods. Students seem to be favoring hydrogen because of its efficiency and performance — factors that will play a vital role in determining the victor. The winning team will be the team that can travel the farthest distance using as little fuel as possible. r’s marathon will showcase a number of prototype model hydrogen fuel system devised by students. The marathon will begin April 14 and will conclude on April 17.